Last Friday and Saturday, Tony traveled with our pastor (Richard) to Kiruna – 90 miles above the Arctic Circle. Three local pastors have been going there to help a church in this mining town of 18,000 get back on its feet. It was great to listen to these people who love God so much as they prayed for wisdom and discernment regarding the future of the church. The temperature is already dropping in Kiruna, but the hearts of the people in this church continue to be on fire for the Lord. This land is being reclaimed by God as His own and we are privileged to be part of His work! The four-hour drive each way allowed Tony and Richard to really get to know each other and to share some of our visions and dreams for this region. We saw several reindeer lazily walking onto and across the highway we were on with obviously no fear of cars. Richard stated that most of these animals belonged to herders and were allowed to freely roam. 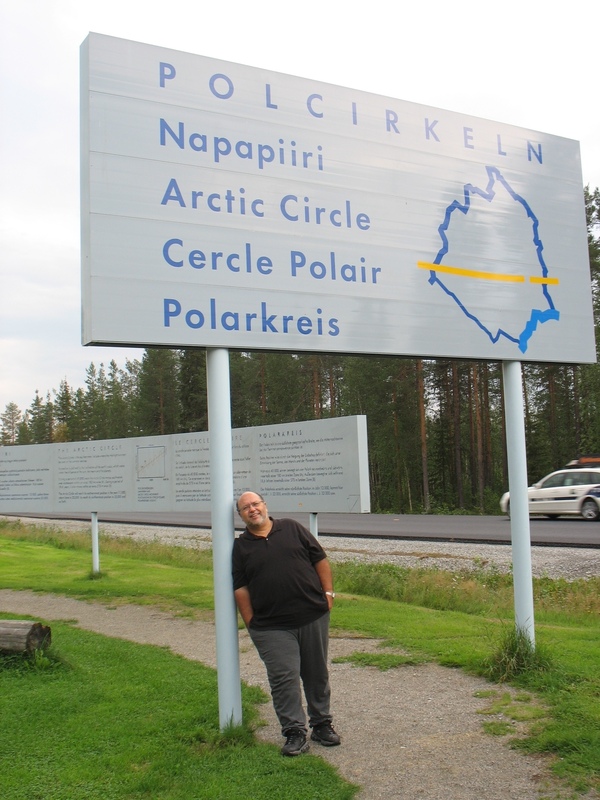 And of course, there was also the obligatory stop at the sign marking the exact line of the Arctic Circle. The Martins can’t wait to come back to see the spectacular beauty of this region in the winter! In the meantime, we’ll pray for the church there. Will you join us?